You’re a long way from Dublin, but that doesn’t mean you can’t get a great pint of Guinness and meet some friendly, like-minded, drinkers and thinkers. 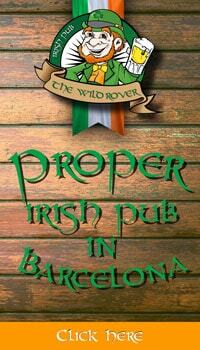 We reveal the best of Barcelona’s Irish, British and international boozers. 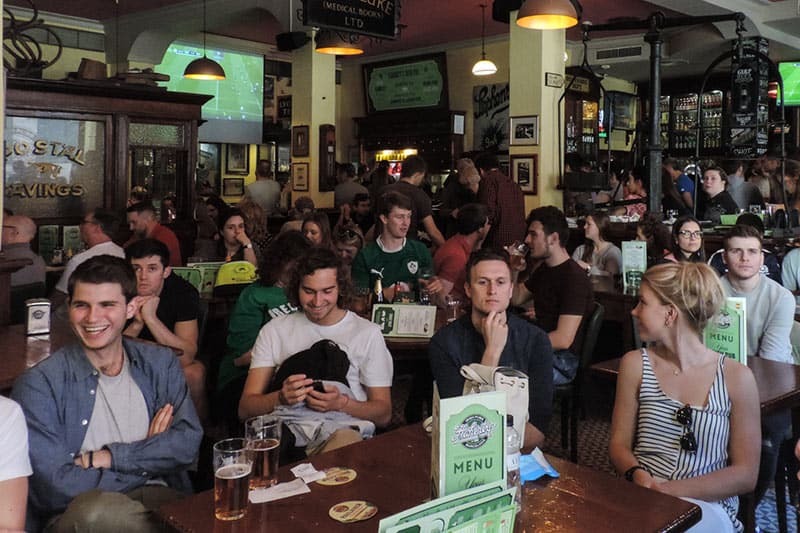 Greats beers, tasty grub, live football and sports on TV, friendly faces, English-speaking staff and even the odd dartboard – it’s not a secret formula but you can see why British and Irish pubs are popular the world over. 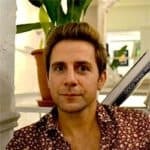 And that great bastion of civilised society can be found in plentiful numbers in Barcelona – so if you’re tired of drinking beer from teeny Spanish glasses and hanker for a pint of Guinness, ale or a premium lager then you needn’t go thirsty in the Catalan capital. If you’re tired of drinking beer from teeny Spanish glasses and hanker for a pint of Guinness, ale or a premium lager then you needn’t go thirsty in the Catalan capital. 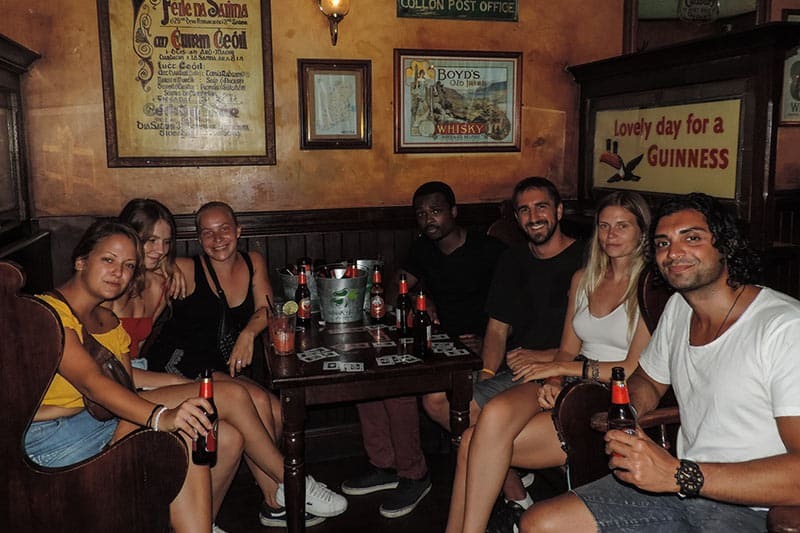 Indeed, many of Barcelona’s Irish pubs are actually rather nicer than the ones back on the Emerald Isle, with sun-kissed terraces on romantic plazas complementing beautifully decked-out interiors. Ok, some are more your typical dark and dingy dens of inequity, but even these are brimming with character – and characters! 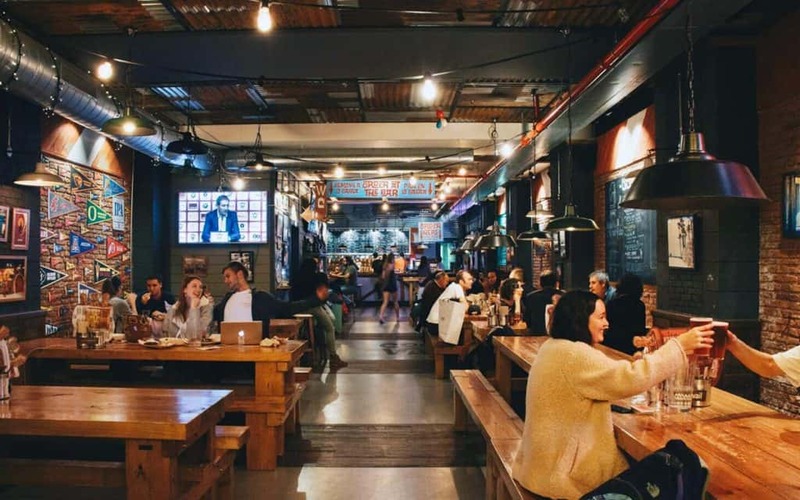 Whether you’re looking for somewhere to celebrate St. Patrick’s Day, a place to watch the World Cup, Euros or Six Nations rugby, or just a homely hangout to while away an hour or three, below are some of the best joints in town. Right enough talk… it’s your round. 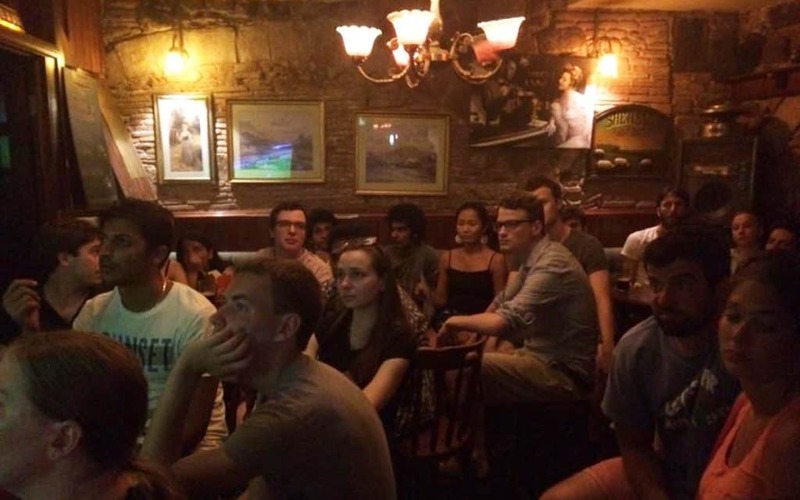 If you’re the kind of person who likes to ‘spend all their money on whiskey and beer’ then simply roam across the Ramblas to discover this authentic Irish watering hole. It’s got an unbeatable programme of live sports and concerts. The former are shown on a total of eight TVs, including two wall-sized screens, while concerts take place every night from 11pm and get the crowd clapping and stomping along to folk favourites and pop covers. The 16 beers on tap include Guinness (obviously! ), Kilkenny, Murphys, Becks, BrewDog Punk IPA, plus you can get a pint of Magners cider too. The burgers are lip-smackingly good and there’s plenty of good cheer and good craic amongst the clientele. Another fantastic international bar, CocoVail is an American style beer hall centrally located near the bottom of the Passeig de Gracia. Hefty trestle-style tables, high definition TV screens, spicy hot wings and a casual, friendly crowd mean it more than deserves its place on this page – despite a lack of Guinness on tap! No worries though, the 24 Catalan craft beers will give drinkers plenty of delicious options to wet the whistle. This English gastropub has been decked out in African colonial style. Almost every square inch of its wood-panelled walls is covered with black and white photos of lions, crocodiles, tribal warriors, British officers and other memorabilia for those times. Just half a block away from the thriving Passeig de Gracia, Obama is ideally located for a post-sightseeing or shopping pint, and their extensive food menu has something for everyone, from pizza and pasta to prize steaks. Eight high definition TVs screen football and other major sports, while live bands drop by on a nightly basis from 11pm. 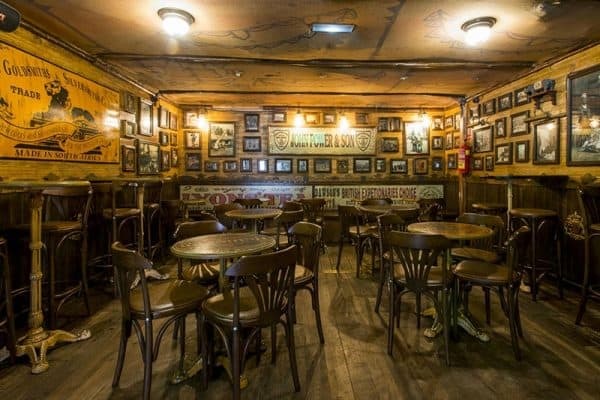 This atmospheric pub, named after the Irish revolutionary, is found near Gaudi’s La Sagrada Familia church, so if you find climbing those towers has brought on a bit of thirst, then you can pop over the road for a little quencher. The dark interior suits a winter drinking session more than a hot summer’s day, but there’s usually some friendly folk inside, whatever the weather. 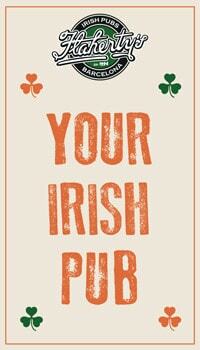 It may be English, but you can still have an Irish cider and enjoy the game at the Black Horse. Frequented by locals as well as ex-pats, especially during Barcelona FC matches, the Horse’s coup de grace is undoubtedly the street terrace. Find it in the Borne district. 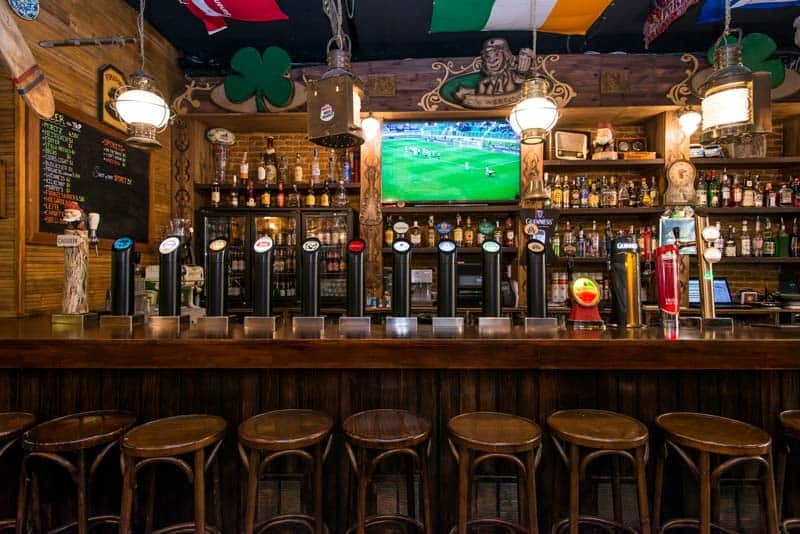 An Irish pub with a real local feel up in Eixample, Flann O’Brien’s is well off the beaten track and a good option for anyone who wants the comforts of home without the folk they tried to leave behind. An Australian pub right on Las Ramblas, Hogan’s is a magnet for British stag groups and badly behaved Aussies. Points for the lifesize crocodile and shark head busting out of the wall. Hopefully we’ve pointed you in the direction of your new favourite hang out. But if not perhaps you’ll find it on our article about the best concert venues in Barcelona right here. Meanwhile, if you’re not a big Guinness fan perhaps you’re more of an aficionado of the fine art of mixology (that’s cocktail making to you!)? You’ll find a list of all the best watering holes in the city on this page.